Halloween is a great time for those of us who love to craft and get creative with our seasonal décor. You can make decorative pumpkins, create haunted villages, craft spooky wreaths, and more. 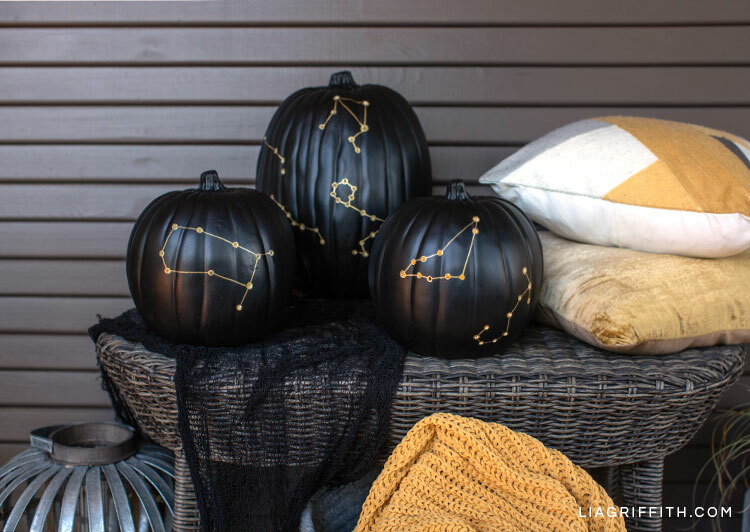 Today we’re showing you how our designer Meagan made these constellation pumpkin luminaries. Scroll down for the details! Can you tell what these pumpkin designs are? If you thought zodiac signs, then you are right! 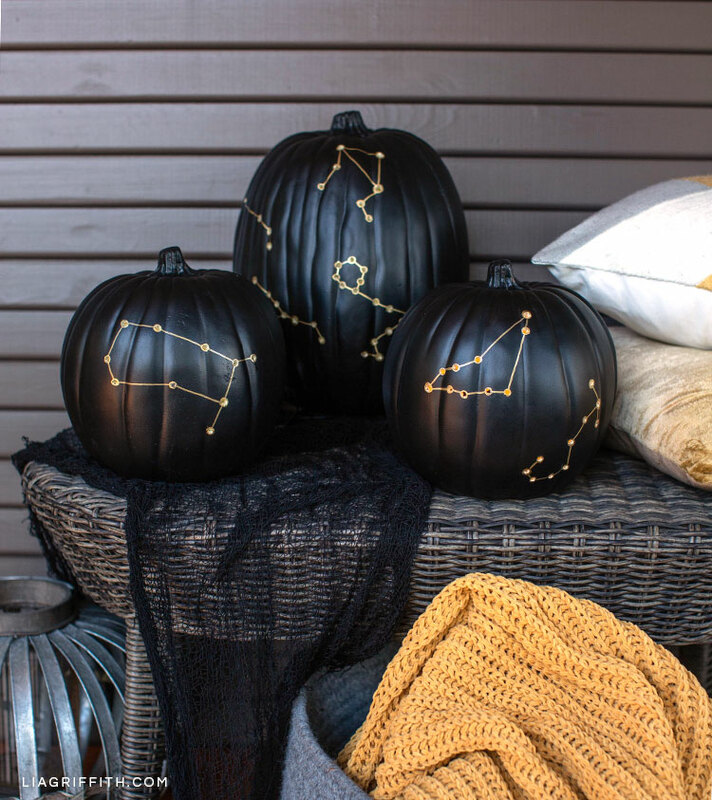 The pumpkin template below includes constellations in a couple different sizes for Aries, Taurus, Gemini, Cancer, Scorpio, Libra, Virgo, Leo, Sagittarius, Capricorn, Aquarius, and Pisces. 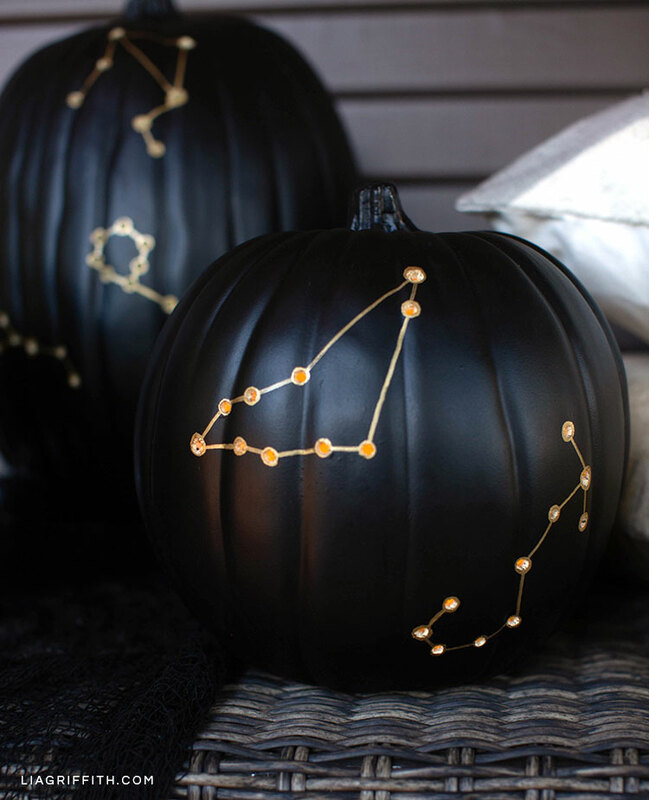 You could put just one constellation on your pumpkin or do a few of them on one. 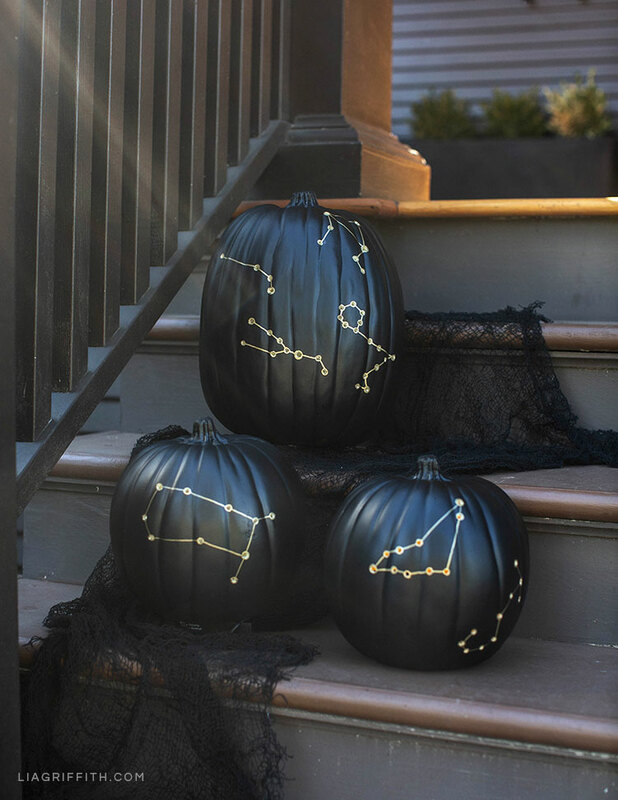 Ready to make your own constellation pumpkin luminaries? This Halloween DIY is simple to make and only requires a few tools and materials. Gather tools and materials. Then download the pumpkin template below. Use a hole punch to punch out the constellations on the templates. 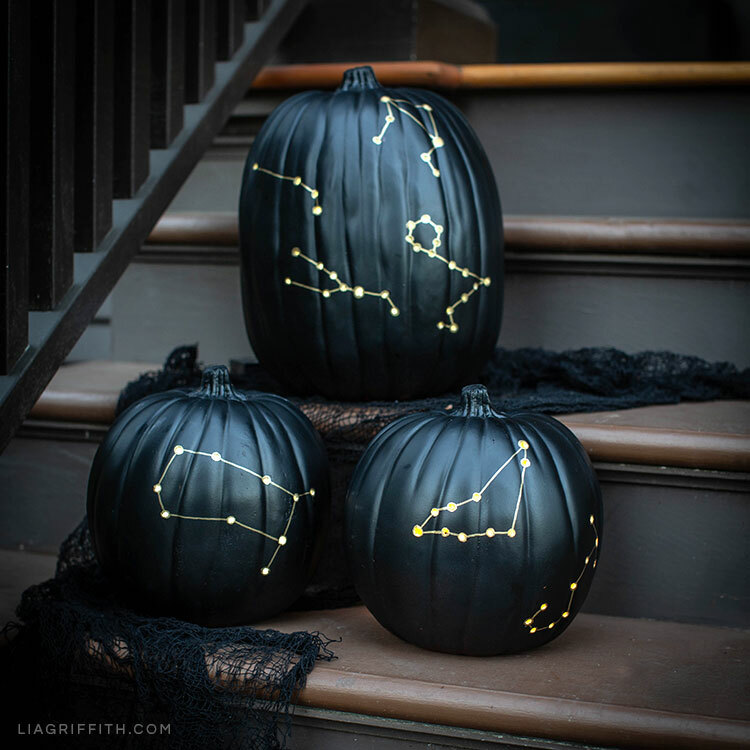 Hold the template of your chosen constellation up to the pumpkin, and use the paint pen to mark where you will drill holes into the pumpkin. Use the 1/4″ drill bit to drill holes through the pumpkin where you indicated. Use the 1/2″ drill bit to drill through a few of the already drilled holes to increase their size. With the gold paint pen, outline each drilled hole. Then, following the template of the chosen constellation, draw a line to connect each hole and make the constellation complete. I’d love to see what you do this year with your pumpkins! When you post your DIY pumpkins on your social pages, make sure to include the hashtag #MadeWithLia so we can see it. Like This Halloween DIY Idea? If you love to decorate for Halloween, we’ve got more ideas for you. To keep up with our latest projects and get daily DIY inspiration for your own crafts, make sure to follow us on your favorite social platform. You can find us on Instagram, Pinterest, Facebook, Twitter, and YouTube. Or become a member today to access all of our SVG cut files, templates, tutorials, and more.